I tend to be a huge fan of Red Skelton, and I had never seen him in a film that I was disappointed with; that has changed as of Half a Hero. It’s a 90-minute situation comedy that would probably have worked better as a 60-minute comedy. It also doesn’t take advantage of Red Skelton’s clown skills; his part could have been played by any other comedian — or straight actor, for that matter. The movie portrays writer Ben Dobson (Red Skelton), a freelance writer who gets his first permanent writing job at a national magazine. He’s working for Mr. Bascomb (Charles Dingle). Who informs him that he won’t be doing original writing, but rewrites of other peoples’ work. And then begins loading him up with an ever-increasing load of work. 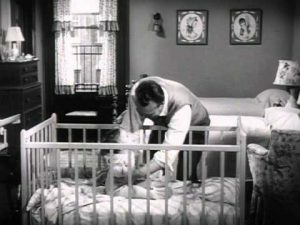 The same day, his wife Martha (Jean Hagen) informs him that she wants to start their family as they live in their small, furnished apartment in New York City. He doesn’t want to, but is easily pushed into it by Martha. Likewise, four years later, he doesn’t want to move to the suburbs, but she pushes him into doing that as well. Where (after a short “welcome wagon” greeting from Kathleen Freeman) he’s rapidly pushed to the edge of bankruptcy. His boss then gives him the opportunity to write his own article. On the trend of people living beyond their means and moving to the suburbs. Which he calls the “slums of tomorrow”. He does so, without his wife’s permission. After surreptitiously interviewing his neighbors, realizes that they are all in the same boat. He wants to follow the path of logic and sell their house. This leads to a nasty fight, and Ben moving out of the house temporarily. 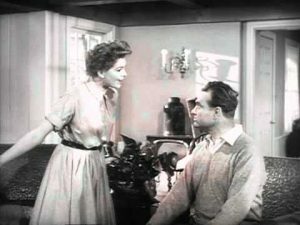 Eventually, they reconcile, and Martha agrees to sell their house. And it’s Ben who changes his mind when showing it to the first set of prospective buyers. So, what’s wrong with Half a Hero? Several things; first, Red isn’t given the opportunity to use his comedy skills. Although there are moments, such as his doing the voice of his Mean Little Kid character, trying to give a cigar to the doctor on the birth of his son, pretending to still live in his old apartment to fool his boss and interacting with the new family that lives there, etc. 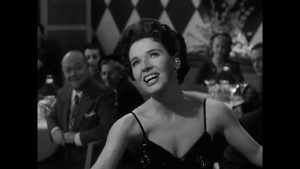 There are extraneous scenes such as the lovely Polly Bergen singing at a restaurant. They could be totally cut out and not affect the flow of the story. The overall pace is too slow. 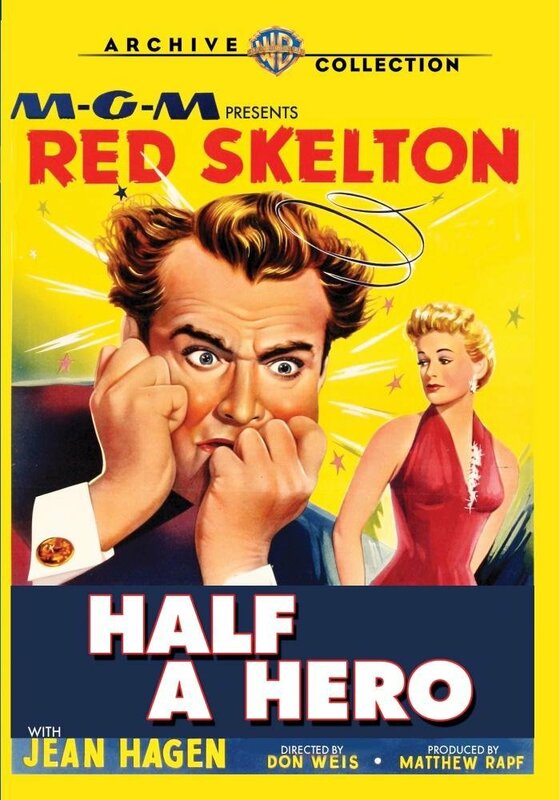 Half a Hero isn’t a bad film, per se, but it’s probably in last place in my list of Red Skelton’s movies. I rate it only 2 stars out of 5.